Almost all of them make 'moving on' impossible. 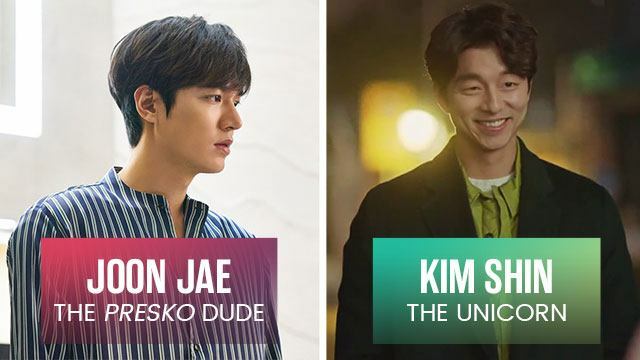 We all have different reasons why we're obsessed with Korean dramas, but one thing's for sure: The oppas in the series will be part of that looong list. Maybe, they're just so damn hot or impossibly cute, but more than that, they remind you of the men in your life—the keepers and the ones you wish hadn't fallen for. He's your number one fan, and you feel so lucky to have someone so reliable to lean on. Bonus: He's beyond adorable when he can't hide his kilig for you! You have him right under your spell, and it’s so obvious with the way he makes lambing. There may have been some spark in the past, but you're sure your relationship with him is 100% platonic now. You do regret not liking him back, especially with all his ligaw efforts. However, you know you'd rather stay friends and never lose him. You can't figure him out, and it just drives you crazy! Does he like you? Is he mad? Did you do something wrong? What is on his mind? Usually, he's extremely introverted or has very particular tastes, so just be patient and ~*communicate. *~ You'll figure him out soon enough. Charming, full of surprises, and maybe even borderline arrogant—these are the guys you'd encounter (and be in awe of) every once in awhile. In other words: Ang lakas ng dating nila. Word of caution: they don't really change. He's the type of lover who will do anything in his power to make you happy—or at least make you laugh. He's a great catch with his cheerful personality and knack for jokes and gags that could make you cry tears from LOL. There's virtually never a dull moment—he makes sure of it. He loves devotedly. He gives you everything you need (and makes you realize the difference between needs and wants). He can be funny, sweet, serious—whatever you desire. He has this uncanny ability to make you melt with his eyes. He's so handsome you can't even. WHERE DO WE FIND SUCH PERFECTION?! Sure, it was cute when you were just starting out, but his possessiveness can become so annoying and suffocating that it can be the reason why you break up. Deep down, you know he truly loves you, but sometimes, it just doesn't work out. At first, he's the picture of perfection. He's caring and considerate, and you love spending time with him. You think you have him wrapped around your finger and he'll never betray you. He promises #mayforever if you just wait for the right time…and that "right time" is too late. NEVER. TRUST. A. FUCCBOI. He's the friend you’ve had for so long—tropa through and through. He knows when to lecture you, when to defend you, when you need a shoulder to cry on, and when to tease you. It's too early to tell, but there might be a chance you'll be more than friends soon and be that epic couple everyone admires. Exciting, right? Omo! Who came to mind when you read about these K-drama oppas? Uyyy!